Should the Princess Anne alloys have "GT" or "GTE" stickers on the centre caps? I would have assumed GTE as I don't think they were fitted to the GT were they? 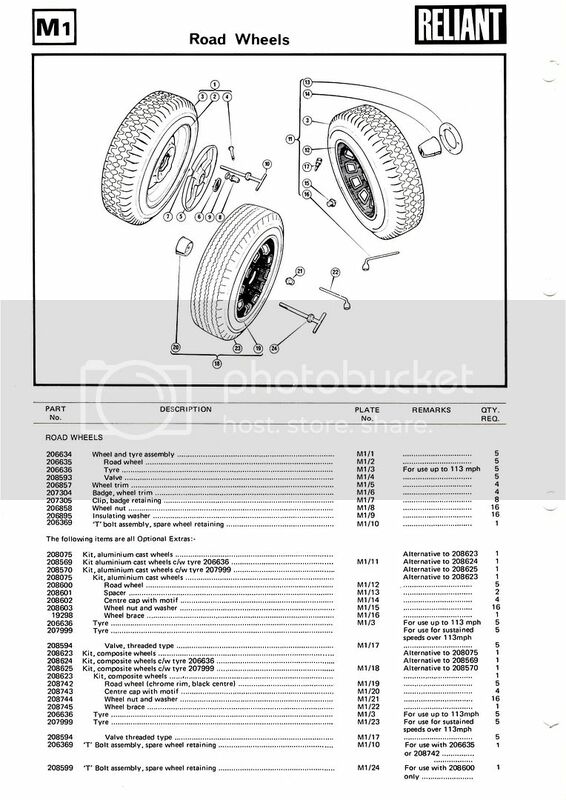 If you look at page 225 of TSAIF - Don refers to the GTE wheels as "GT" SE5 (1970-1972). On page 93 he refers to the change of suspension in Aug 68 from Daimler based to TR6 type (with the intro of the SE5) and says that the steel wheels had to be slightly modified....many subsequent owners...have fitted....alloy wheels"
Having said that, I have seen at least 2 cars with 15" PA wheels - I'm still not convinced that they were an option on the coupe though (they're not listed on the Sept 67, Nov 68 or Oct 69 price lists)? AFAIK the original centres are chromed plastic, with a "GT" logo sticker in the centre. I have a scan of this sticker somewhere if anyone wants to recreate it. Thats a distinct possibility, or perhaps the style of wheel was GT? I don't think it was anything to do with the model of car they were fitted to. Hi there - from a previous article I read years ago the Princess Anne type wheels were made by Mill Automotive products hence the mag wheel title in drawing ( also stamped on the rear of the wheels if I remember correctly) . I believe the 15 inch version was produced for the Triumph Tr6 but they also produced these wheels in various sizes (10 inch mini wheels also available. Yes, as David said previously the wheels were made by Mill Accessory Group Ltd (MAG Products). 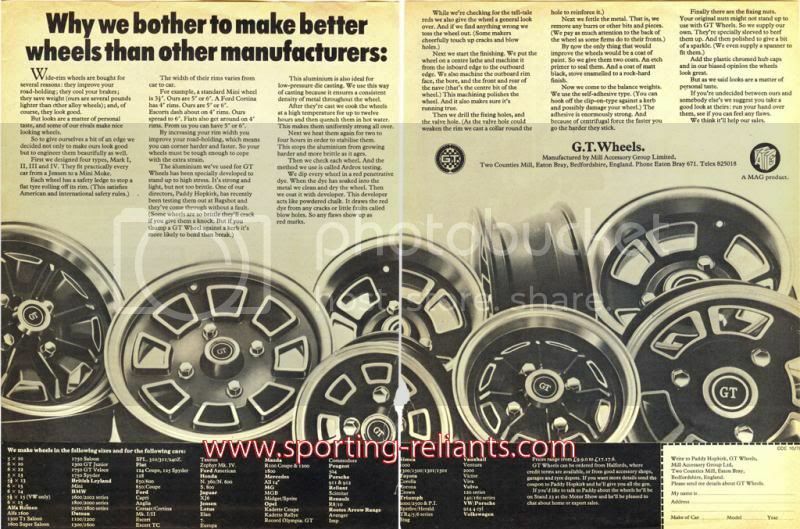 As far as I know they only produced the oprional MAG Alloys for Scimitars in 14" x 6", but various size wheels were available directly avaialble through other dealers. Brilliant bit of info there Dave, cheers!! Was trying to read the picture - is the largest 6x15?